Swindon's most important - and misunderstood - building? If buildings are more than architecture and bricks and mortar, then the single most important historical site in Swindon today must be the Mechanics' Institute. It is no exaggeration, in fact, to say that the building is of great national importance. Yet one glance at the state of the Mechanics' as it stands today also shows that it is surely Swindon's most neglected building. It is certainly the most misunderstood. 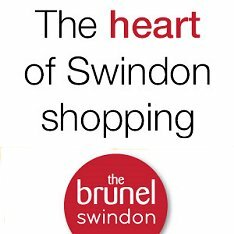 Ever since it opened on May 1st 1855 (the Institution itself was formed in 1844, one year after the Works was opened, but it was 11 years later before Daniel Gooch's and Work's Manager Minard Rea set up the 'New Swindon Improvement Company' that funded the building, plus a covered market. The foundation stone was laid by Lord Methuen in 1854) it has given rise to the popular misconception that it was one of results of the railway company's benevolent disposition towards its employees. 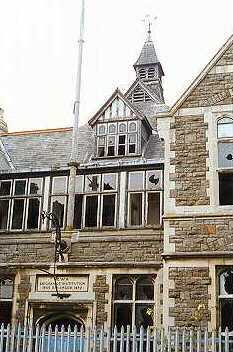 Others have described it as a training school for GWR workers. Neither is true. The Mechanics' was many things and while it did cater for the educational needs of local people, it was in no way a training school. And it was the Swindon people, encouraged by a number of forward-thinking men within the community, who more or less built the Mechanics' for themselves, not the GWR. Trevor Cockbill's 1988 book, Finest Thing Out, puts the record straight in no uncertain terms and few people who have read this excellent work will be in any doubt about the building's significance in terms of social history or that the Mechanics' greatest champion, Minard Christian Rea, deserves far more acclaim for his role in the movement than history has so far afforded him. Cockbill criticises past historians, expressing his concern that "by their muddled, careless and often wildly inaccurate scribblings they have denied, to the early residents of New Swindon, so much of the credit that is clearly due to them." And he adds: "In looking at the early days of the Mechanics' Institute at New Swindon we are studying a cradle which nursed the direct ancestors of our present welfare state." The library, which was founded at the Mechanics' by ordinary workers, pre-dated England's first public library by several years. The building also served as a self-maintaining community centre - long before municipal councils had even dreamed of such things. And when the Mechanics' was the base for a campaign to form a sister organisation, the GWR Medical Fund, it fostered a cottage hospital that was to be studied in great detail almost a century later and adopted as a blueprint for the National Health Service. The Mechanics' also filled a desperate need for a marketplace in the Railway Village, ensuring that workers could obtain a supply of fresh produce at reasonable prices. It was even a forum for grievances that pre-dated the trade union movement. Thus it can be seen that the Mechanics' Institute was many things and far from being a mere building. Now, in an age when all social frills are laid on for all members of society, it is easy to forget that the Mechanics' Institute was decades ahead of its time in providing for the social needs of Victorian Swindonians. The people who built and developed the Mechanics' Institute are to be remembered as a remarkable generation. 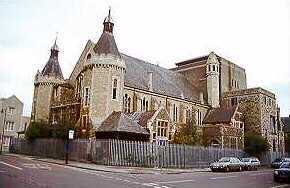 The tragedy is that unless the ambitious New Mechanics' Institution Preservation Trust achieves its aim of giving the building back to the people of Swindon, our own generation may be remembered as the one that allowed a vital piece of our heritage to crumble, quite literally, into dust.